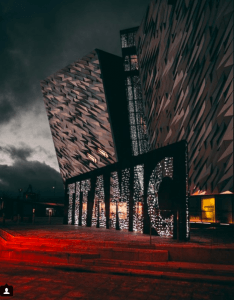 We whole-heartedly love Belfast. 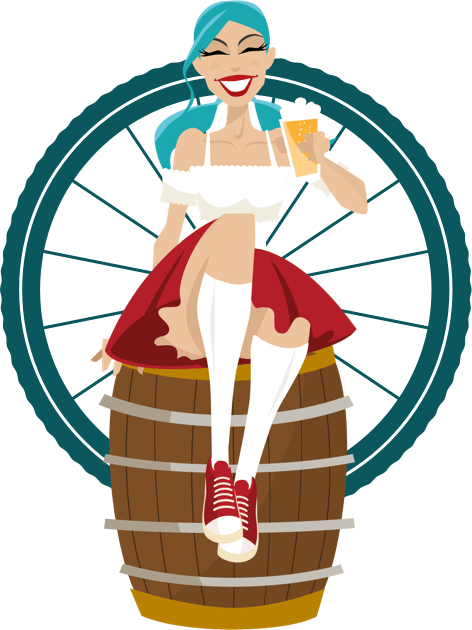 We love it’s stories, it’s people, it’s traditions and craic. 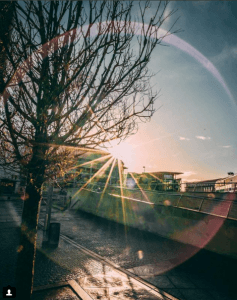 We never tire of it’s landmarks and beauty and as a small gesture to it’s greatness, we are launching our City Hero series with a little profile of what exacty makes Belfast so great. Thank you to Clare Dwyer Hogg for this beautiful salute to the city…. Journey around Belfast, and there’s a very good chance you’re retracing the footfall of James Joyce. The story goes that our literary hero came to the city only once, for a day trip, in November 1909. He arrived looking for a place to open a cinema… and left with an armful of Belfast Linen. Maybe it’s a tall tale, but as you explore this city, you’ll get the feeling that maybe Belfast is part built on myth. That’s what makes it so beautiful. The Linen Quarter is where Joyce would have bought his luxury bedding, so no better place to begin than at the stately Belfast City Hall, an incarnation of the original White Linen Hall. 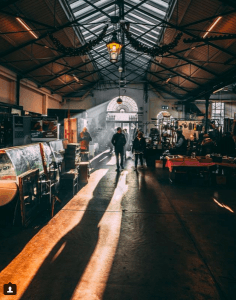 At one time, it attracted international merchants for trade – now, it deals in a different kind of politics, while people from across the globe come to soak up culture and wander around the markets it hosts. Directly behind it is Linen Hall Street, which will take you right into the heart of the Linen Quarter. These days, it’s not for sheets, but opportunities to shop are plentiful, as are exciting new places to eat (try Harlem on Bedford Street, for one). And if you’re feeling learned, have a peek inside the Linen Hall Library, the oldest library in Belfast, founded in 1788 by a group of artisans who wanted to “promote general enquiry”. With that in mind, be sure to engage in some enquiries around the very hip Cathedral Quarter. 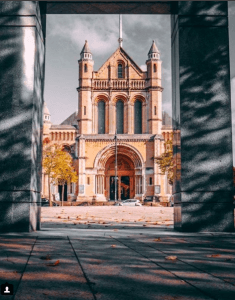 It’s a unique blend of artistic and historic: the Metropolitan Arts Centre (MAC), St Anne’s Cathedral, and the Ulster University’s new art studios are jigsawed together here, just steps apart. This is where cobbledstreets run past cool boutique hotels, Belfast’s oldest building still stands, and contemporary murals are ever-changing. It’s where the hipsters hang out, too, so you can be sure of a good coffee (try Established & Co for that; they serve excellent food as well). For the dreamers: stand in Saint Anne’s Square with the sculpture of Anne behind you. This is the best spot to gaze up at the sky through the aperture of the square’s modern architecture, as the silent Cathedral rises before you. 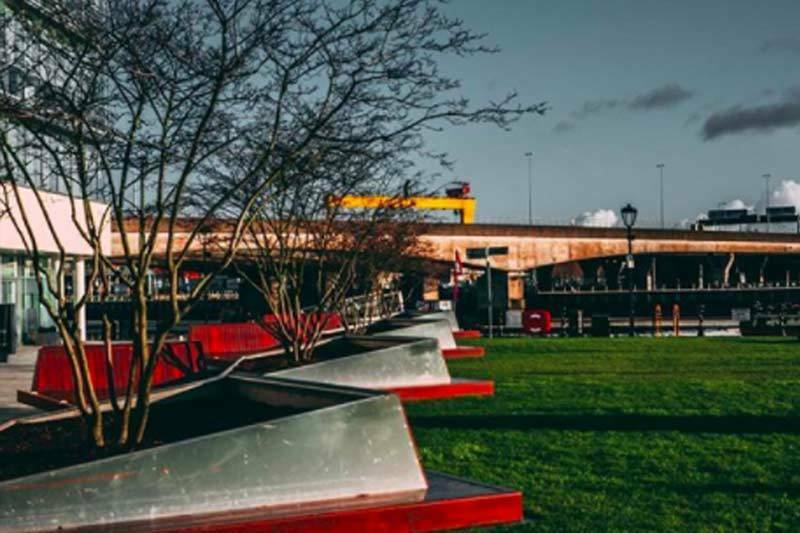 That feeling – the tapestry of new stories in old – isn’t unique to one place: it’s part of Belfast’s tangible atmosphere. There has always been a well established creative scene in the city, but there’s space for burgeoning ideas too. This is true not least in the Gaeltacht Quarter, where Irish language is the central vision, and history is unfolding in present day. A good place for a pit stop there is Culturlann, a hub for Gaelic Arts, where you might catch a poetry reading, workshop, or concert (there’s no requirement to speak Irish! ), and are always guaranteed a good cup of tea and choice of literature. 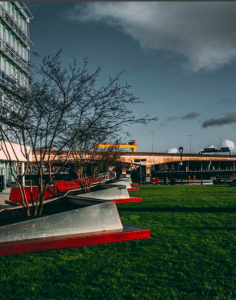 Carry that cultural thread with you as you leave – it’s part of the line that travelled before you, in the spirit of many who left Belfast’s port for adventures untold. 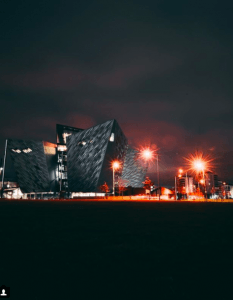 The Titanic Quarter is a fascinating monument to this, where glittering modern architecture pays tribute to past graft and the embrace of tragedy and dream. It’s a clear statement of past and future coinciding for our discovery. Drink it all in – and more – under the protective arms of Samson and Goliath: two cranes by Harland & Wolff, the makers of the original Titanic. They’ve watched over Belfast for so long that they too have become a talisman in modern myth. And that’s only the beginning. Gather what you can, and Belfast will stay with you long after you leave. Joyce is testament to that.